This wireframe is just for me (I'm building my own website! ), but I'll try to add enough details so fellow class members can get the gist and give feedback/suggestions. 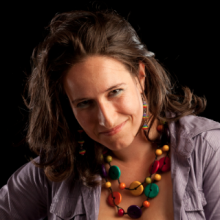 I'm the US Ambassador for Eco Femme (http://ecofemme.org/), and am now starting my own social enterprise (Natural Flow) to retail sustainable menstrual options and catalyze body empowerment. Natural Flow aims to make cloth pads, reusable menstrual cups, and sea sponge tampons accessible to all who menstruate, while also shifting the conversation around menstruation and healthy body relationships via collaborating with existing intersections of gender & sustainability, as well as creating new spaces for dialogue and connection. 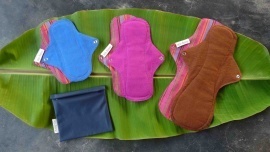 My 1st product: Eco Femme washable cloth pads, ethically made by women in Auroville, India. For every international sale, one pad is donated to a rural Indian woman through Eco Femme's menstrual education programs, Pad for Pad. I have a lot of ideas and different needs for my site, so wireframing is definitely a necessary step for this endeavor - building my first website !!! Some of my main pages already have their basic outline, but my Shop section isn't even started yet, so that's where I found most useful to begin wireframing. I found this process tremendously helpful! However, I honestly don't know what other pages I can wireframe that this point... They're either too formed to make it worth it (I think!? ; like the ones already on my site) or not even formed enough to really exist yet in my mind. I know my site layout is far from done/sufficient, but I think I just need to keep flushing out the pages I do know at this point. The only page I can think of that would be useful to wireframe soon is the main shop page - where people land when they click "Shop", before selecting any specific items. That and the shopping cart page.